We are looking for fluent bilinguals who are interested in developing their already established interpretation career, or in being trained as a career interpreter—former experience is not a prerequisite! At the end of the day, being an interpreter gives you the chance to make a difference. To make a difference to the tens of millions of people that don’t have the ability to communicate freely. To make a difference in your own life, as the interpretation industry is growing faster and faster each year. To make a difference for your future, as many of our former interpreters are now in managerial and supervisory roles. So, whether you’re helping a patient communicate with their doctor, or assisting a family get a loan with a bank, we want someone who is excited about using their language abilities to help others. Visit our Interpreting 101 page for more information on preparing for the application process. What sets TransPerfect Connect apart? The management structure at TransPerfect Connect is built to foster success. Teams of 20 interpreters have a dedicated supervisor sharing the same schedule, for constant access and support. Quality teams provide monitoring and coaching in a positive feedback atmosphere, so you can continue to improve your skills. 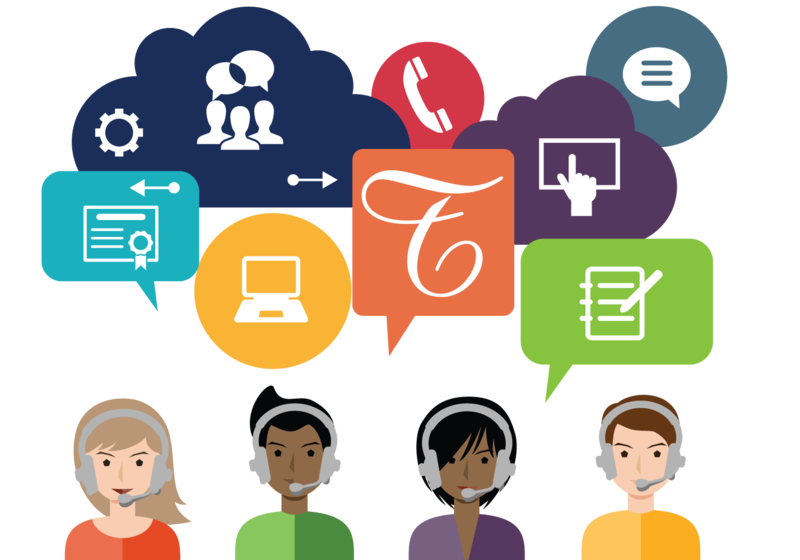 The goal of every team is to focus on supporting interpreters to perform their service for our clients and callers in language. Learn how we can help businesses break through language barriers in seconds. "That is one of the greatest things about working here– you constantly get exposed to new ideas, people, businesses, and cultures! It reminds me of growing up on military bases, being continually around many different people from everywhere on the planet "
"The most important skills to excel as an interpreter are follow up, and using all of the tools available to you." "A few years ago, I realized that interpretation is more than just a career; it’s a way to help your community." "I didn’t really know anything about the industry before I started here, but I had a passion for the language and for helping others, so it was a perfect fit for me." "I love the people I work with. We all come from different countries, backgrounds, and cultures. Very inspiring!" It's more than just a job…it's a career. TransPerfect Connect provides you with a comprehensive and competitive benefits package, which includes time off, quality of life programs, and financial assistance in planning for retirement. TransPerfect Connect’s generous benefits include health, dental, vision, retirement, and voluntary benefits. Medical- TPC offers you and your eligible dependent an Exclusive Provider Organization Plan (EPO) through United Healthcare. The EPO plan has no gate keeper, includes comprehensive prescription drug coverage, and medical coverage that includes both routine and emergency care. Dental – TPC sponsors a flexible PPO dental plan through United Healthcare, which gives you access to over 60,000 dentistd nationwide. Employeed have the freedom to see any dentist in and out of the network. Vision – TPC sponsors a vision plan through United Healthcare’s Spectera network. Covered members receive in- and out-of-network care for such things as routine eye exams, lenses, eyeglass frames, and more. Flexible Spending Accounts – We offer two flexible spending accounts; Healthcare and Dependant Care. These two accounts allow employees to set aside pre-tax dollars on a bi-weekly basis to fund out-of-pocket medical and child care expenses. Life Insurance and AD&D – We offer one time your salary up to $50K of basic life insurance and AD&D. This type of coverage helps provide a low-cost, convenient way to assist with financial security. In the event of death, a person (or persons) you choose receives a cash payment from UHC. The amount of payment is determined by your coverage amount. Financial Protection – TPC sponsors these benefits to help you protect yourself and your family financially if something were to happen to you. Optional Supplemental Life Insurance and AD&D – This form of Life insurance is in excess to the Basic Life Insurance that the company offers. You can choose up to 50% of your annual income with a max limit of $500K for yourself. In addition you can choose up to 50% of the amount you chose for yourself, for your spouse with a max limit of up to $250K. In addition we offer Child Life Insurance, for a dependent under the age of 18. Optional Long Term Disability – This form of insurance protects an employee from loss of income in the event that he or she is unable to work due to illness, injury, or accident for a long period of time by replacing a portion of your income. Legal Service Plans – Can help you obtain affordable legal services such as legal advice, representation and assistance for certain personal legal matters. In addition to all the benefits we offer above, employees have access to discounted group voluntary benefits such as Telemedicine, Identity Protection plan, advisor guided college savings NY 529 plan, corporate discount with Perks at Work, pet care savings plan and dental/vision savings plan.